I created this page to help you see how a work of art progresses so that you don’t have heart failure when you see your first pencil sketch when you were expecting a finished product to view for the first time. Click on a strip, then when it appears in your browser, click again to enlarge it. 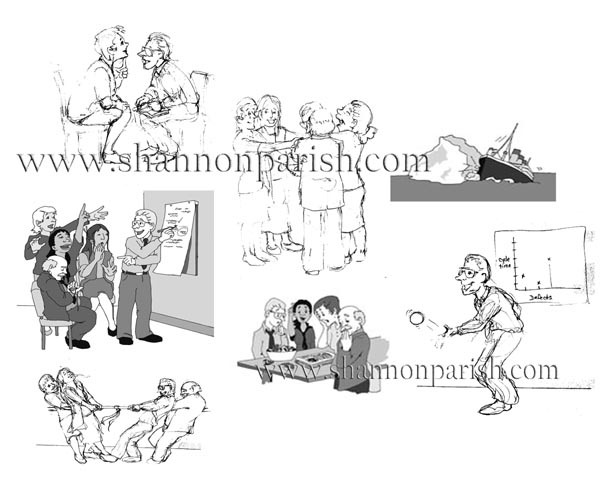 Your original cartoon or illustration goes through several stages before delivery. Understanding the steps or stages that are necessary will help you to know what to expect as I work to create your original artwork. Its your artwork! You can stop at any point. Seeing these samples will help you to visualize the differences that each stage brings to the table.